So why is China bringing together more than 100 media organizations from across Asia? What are its strategic objectives here? The strengthening and promotion of media cooperation within the Shanghai Cooperation Organization is a shared aspiration of all parties. 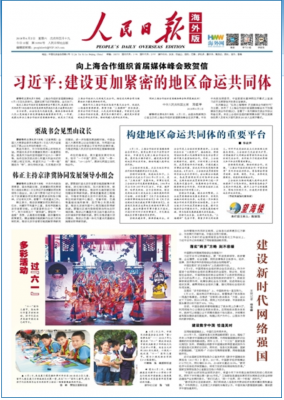 People’s Daily deputy editor-in-chief Fang Jiangshan points out that the media constitute an important resource and means of national governance and global governance, and whoever controls discourse power has a grasp of great soft power, and therefore can better stand in a position of righteousness and justice (道义制高点). In the present international public opinion framework, the members of the SCO currently lack media organizations with global influence, and the media of many member states still seriously rely on Western news agencies for their international news reports. 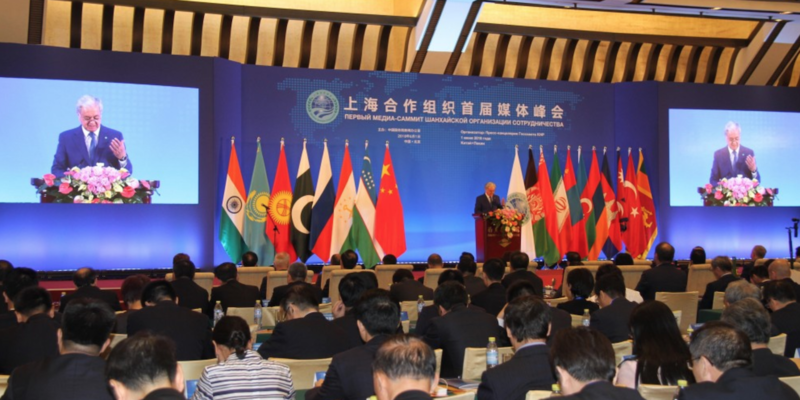 “The political security, economic development and social stability of SCO member states is upset by a massive gap in terms of digital technologies,” said Fang Jiangshan . . . . Fang believes that to change this situation, the SCO and its members states must place a strong emphasis on media development and media cooperation, further building mechanisms for media cooperation. Make no mistake: the proper translation here is that China wants to work with its Asian partners in the SCO to break what it sees as Western dominance of the global narrative on governance. Imagine a world in which media and their audiences across Asia see global affairs not through the lens of the Associated Press, AFP, Reuters or the New York Times, but through the grand political vision offered by Xinhua. It’s not difficult to ascertain which nation state, under such a “public opinion environment,” would come off as the beneficent protagonist.